Two CSUN Biology faculty were among the winners of the 2018 BioArt competition held by the Federation of American Societies for Experimental Biology. 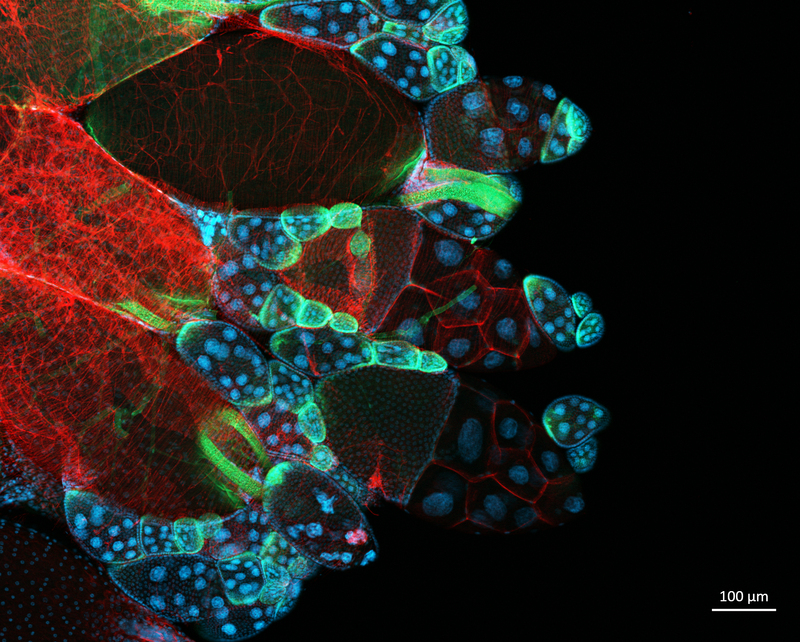 Assistant Professors Crystal Rogers Mariano Loza-Coll submitted a striking microscope image of a fruit fly ovary stained for cytoskeleton (magenta) and DNA (blue) and expressing GFP in cells that respond to STAT proteins (yellow). Rogers used this experiment and image to demonstrate molecular biology techniques to undergraduate researchers in her embryology course, BIOL 441.